What do baseball teams and law firms have in common? 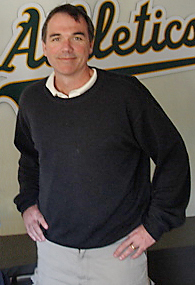 Probably not a whole lot, but as Monique Drake of Lawyer Metrics LLC told us at the Leadership Summit on January 25, legal employers can learn a lot from the Oakland Athletics’ General Manager Billy Beane and his moneyball hiring strategies, where he constructs a baseball team built strategically for success. Both in baseball and law, employers need to identify real correlations and eliminate outmoded identifiers of success. In baseball, you have statistics like runs batted in or home runs which are may be indicative of a star player, but these statistics may not yield the maximum impact for the health of the team, overall. For instance, is it a good trade-off, if for every home run that a player hits, he strikes out five times? Probably not, right? Consistency, or on-base percentage, will likely be a greater predictor of overall team success, while home runs will indicate an individual with great statistics. Legal employers can have their own moneyball statistics too. Professors Marjorie Shultz and Sheldon Zedeck of the University of California at Berkeley released a study in 2003, “Predicting Lawyer Effectiveness: Broadening the Basis for Law School Admission Decisions”, which identified 26 effectiveness factors by which to evaluate attorneys and potential hires, including, Analysis and Reasoning, Stress Management, and an Ability to See the World through the Eyes of Others. The traditional hiring attributes, like grades, law review, and class rank have the potential to be like home runs or RBI – the qualities of a star – but they may not be the qualities that are the most effective for your team. Step 1: Identify measures of success. Step 2: Identify your most successful attorneys based on these measures – perhaps your top 20 to 40 – depending on your size. Step 3: Analyze the background of your most successful attorneys for common traits that positively or negatively predict success. Step 4: Develop an effective interviewing process to determine if a candidate has these skills or traits. Step 5: Implement the process! After you have identified your definition of success and implemented your process, it is important to follow through with intention. In baseball, it is important to place your newly acquired talent where they can be the most effective in the batting order, so you can minimize the talent’s weak areas, while they are being honed. Similarly, it is important to give your attorneys the best opportunity to succeed, so they can be great members of your team, on a long-term basis and attract clients/fans! To ensure your talent is the most effective, Drake challenged employers to integrate your new factors of success into all of talent management and development and to communicate the factors regularly to the organizations attorneys and work them into your organization’s culture. Drake also urged organizations to refine how work is allocated to ensure associates are able to receive feedback and can be sponsored or championed by rainmakers and partners of influence, rather than only by service partners. Finally Drake pressed attendees to identify the traits in your corporate culture that may be barriers to success and to provide development opportunities to help alleviate their influence. While baseball and law may not have (m)any direct links, the comparison between building a strong team is pretty uncanny. Knowing what best prepares your attorneys for a successful career in your organization is imperative for retention and the long-term vitality of your attorneys – both minority and majority.